Stand-up Comedy - LYNN RUTH MILLER! 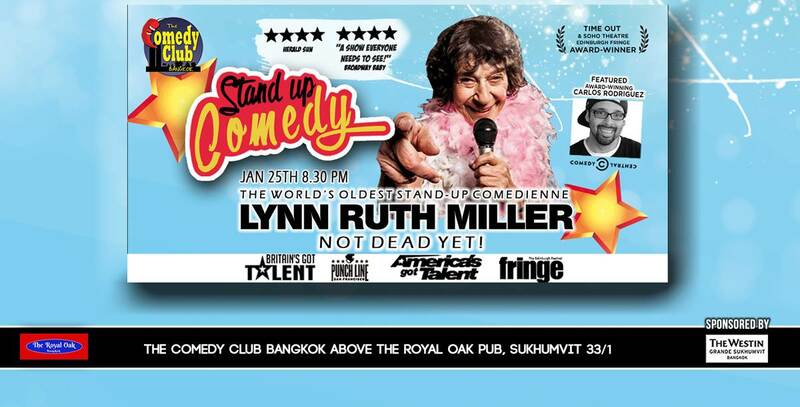 The world's oldest performing stand-up female comedian and dubbed the new Joan Rivers at The Edinburgh Fringe, LYNN RUTH MILLER graces The Comedy Club Bangkok stage for our first club show of 2019! Starting her comedy career at 71. Lynn made it to Las Vegas in America’s Got Talent, 2008, won People’s Choice in 2009 Branson Comedy Festival, the finals in Bill Word’s Funniest Female Contest 2009 and semi-finals in the SF International Comedy Competition, the top 100 in Britain’s Got Talent and won both nights of the Texas Burlesque Festival without taking off anything that matters. In 2013 she was TO&ST winner at The Edinburgh Fringe and in 2015 Dave’s Leicester Comedy Festival winner, receiving multiple 4 and 5 star reviews. 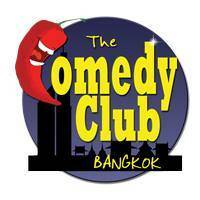 An international comedian she has played across the world and cannot wait to take Bangkok by storm! Supported by multi award-winning Comedy Central comic CARLOS RODRIGUEZ!